Today’s environment is very complex with servers interacting with a variety of desktop and mobile applications. Along with this is the ever increasing need for higher speed, greater bandwidth and security. Our customers in retail, professional services, schools, hospitals and private residences have come to us requesting assistance with their networks and business data. Whether it’s assisting you with replacing aging servers or simply augmenting an over-extended IT staff, we’re here to help. We provide services for core infrastructure system to keep them agile allowing you to solve today’s problems and flexible for future changes. Prior to taking on a project we'll sit down with you and discuss your current system and your objectives and develop a document detailing our planned services. We’ll insure you have a timely and cost effective solution. Understanding your goals and future plans is an important step. We’ll take the time to provide you with the latest information available on products and best practices. Planning is key to any successful implementation and we’ll work with you and your staff to make sure everyone has a thorough understanding of the work to be performed before the implementation begins. We’ll make sure we provide your staff with all of the necessary training to operate your system, and we’ll be there to back you up should you ever need assistance. Your telecom room’s appearance and the ability to maintain its functionality is important, it’s relied upon heavily as a key part of your business. Whether it’s visited by internal employees, auditors or external customers how it appears, is important. 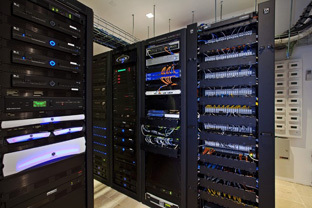 Technology in the server room will always be in a constant state of change. Installing new equipment, updating firmware, and troubleshooting can be overwhelming. The result is that the server rooms become disorganized and chaotic. Our customers in retail, professional services, hospitals and private residences come to us requesting assistance with their planning and reorganization. Whether you’re planning a new server room, relocation, or re-engineering your existing area, we can provide you with a telecom room that’s clean and organized. We design with consideration to agility and flexibility for future changes. Prior to taking on a project we'll sit down with you and review your current systems along with your objectives and develop a plan for services that will organize your server room making a center piece for your company. We’ll insure you have a timely and cost effective solution. Understanding your goals and future plans is an important step. We’ll take the time to provide you with the latest information available on products and best practices. Planning is vital and we’ll work with you and your staff to make sure everyone has a thorough understanding of the work to be performed before the work begins. We’ll make sure we provide your staff with all of the necessary training to operate your system, and we’ll be there to back you up should you ever need assistance. With today’s ever increasing demand for wireless access, many of our customers in retail, commercial office buildings, hospitals and private homes have come to us requesting assistance with their WiFi installations. 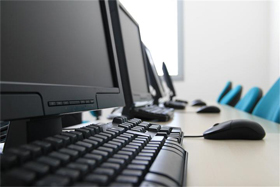 Prior to any wireless installation project we'll discuss your goals and objectives identifying your bandwidth needs, security requirements; certificates, pre-shared keys, and guest access. After we’ve developed a document which outlines your needs, a physical site assessment will be performed to inspect and document the site and provide you detailed information for the planned installation. Walls that cannot be penetrated (glass, steel, poured concrete, etc). Potential regulatory issues (building permits, fire code requirements, etc). Kitchens and or other areas where microwaves are present. Confirm accessibility for cable runs relative to device placement and network equipment. Identify the specific locations which will provide maximum coverage. Discuss Wifi controls and console options in multiple device installations: Meru, Cisco, Ruckus and others. 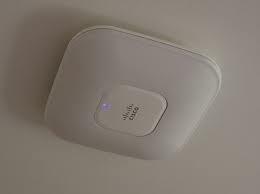 We’ll insure you have a timely and cost effective wifi installation. Understanding your goals and future plans is an important step. We’ll take the time to provide you with the latest information available on products and best practices. Planning is key to a successful implementation and we’ll work with you and your staff to make sure everyone has a thorough understanding of the work to be performed before the implementation begins. We’ll make sure we provide your staff with all of the necessary training to operate you new system, and we’ll be there to back you up should you ever need assistance.